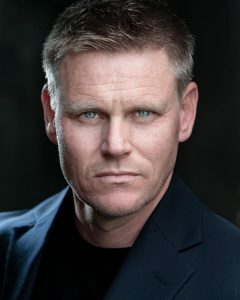 Todd Kramer is an actor, voice artist, writer and trainer based on two continents. Todd is a commercial fisherman, driver, teacher, father of two (beautiful girls) and a student of Kabbalah. He has lived in Europe for 20 years and holds both US and UK citizenships. He is a farmer and a friend, a surfer and singer. He is good at some things, great at others, excellent at a select few and won’t go near those things of which it has long ago been established that he is awful. Todd wished he had learned more guitar when he was younger but plays harmonica because it was easier to learn. He speaks Spanish and Czech and can fake German and Russian. He thinks he can speak Italian but he can’t. He also can’t speak French but, for some bizarre reason, can read it and he is learning Hebrew. Todd always lies about his age but never about his biography.